The Woomera Prohibited Area (WPA) is a highly-valued defence testing range located in South Australia’s north-west. Access is controlled by the Department of Defence, with permits granted by reference to access policy set out in the Woomera Prohibited Area Co-Existence Framework. A major review of the Co-Existence Framework (Review) is now complete. This alert identifies the key Review Report recommendations that will impact on the resources sector. The Woomera Prohibited Area, located in the north-west of South Australia, is an area roughly the size of England that is used by the Australian Department of Defence, and Australia’s security partners, for the testing and evaluation of military systems. It is also highly prospective from a resources perspective, containing economic deposits of copper, gold, iron, uranium, silver, titanium, and zirconium (and other minerals). 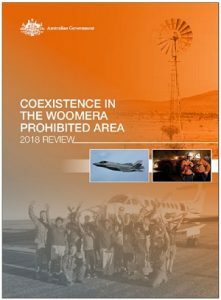 Access to the WPA is controlled by the Department of Defence by way of a system of permits granted pursuant to the Woomera Prohibited Area Rule 2014, which gives legislative effect to the access policy set out in the Woomera Prohibited Area Co-Existence Framework. During 2018, a comprehensive review of the WPA Co-Existence Framework was undertaken, with the aim of developing a revised framework that would account for contextual changes since the co-existence arrangements were first developed in 2011, and the evolving future requirements of users of the WPA, particularly the Department of Defence. Department of Defence expectations are that its operations within the WPA will increase steadily and substantially from 2019. Around $900 million is being invested into development of the Woomera testing range in the decade to 2025. In addition, the Review Report acknowledges that there have also been “significant geopolitical developments” in recent years which have increased the threat to Australia and its allies from espionage and foreign interference. In light of this strategic context, the Review Report makes 12 recommendations that reflect the critical importance of the WPA to national security, while seeking to facilitate greater flexibility around access arrangements for other users. The Review Report is likely to have significant consequences for resources companies with foreign investors. Recommendation 4 provides that in order to manage risks to national security in the WPA, a key consideration for the Department of Defence when it assesses WPA access applications should be “whether companies have substantive Australian ownership, control and influence”. In particular, it provides that the Department of Defence should require businesses wishing to operate in the WPA to “demonstrate strong transparency, independence in decision making, and institutional resistance to exploitation by any foreign government for intelligence gathering or foreign interference, or malicious personal action”. The Review Report also recommends that the Department of Defence implement a policy of “arm’s-length foreign investment” in the WPA, where the foreign investor has limited or no physical access to the area, uses only approved contracted services for any on-the-ground work or plant and equipment, and is subject to strong compliance. To address concerns about the feasibility of developing new mines in the WPA, the Review Report recommends that the Department of Defence publicly reaffirm its commitment to co-existence in the WPA, including a commitment to case-by-case consideration of new mining ventures that meet safety and security requirements. At the same time, it also recommends that proponents of new mining operations obtain appropriate technical advice and work closely with the Department of Defence and the SA Government to develop proposals that “take into account the unique requirements of the WPA and have the least impact on Defence activities”. It further recommends that the SA Government work with the resources industry to identify what forward planning programs would facilitate potential new mines in the WPA and minimise their impact on Department of Defence testing, such as shared infrastructure or nominated infrastructure zones. As shown in the figure below, the existing access arrangements divide the WPA into four ‘Zones’ (Red, Amber 1, Amber 2 and Green). The Green Zone covers the vast majority of the WPA (approximately 86%). As closures of the Green Zone for Department of Defence use require the whole of the Zone to be emptied, this often results in unnecessary impacts to other users. The Review Report recommends the investigation of conversion to a grid-based approach, which would fold the existing Amber 2 Zone into a larger Green Zone, and then divide the Green Zone into a series of 15-nautical-mile grid squares. The Department of Defence would exclude people from only those squares that were required for a test, rather than the entire area. The Review Report recognises that different users have different needs and as such a collaborative co-design process managed by the Department of Defence and the SA Government should be used to examine and develop the grid-based model. 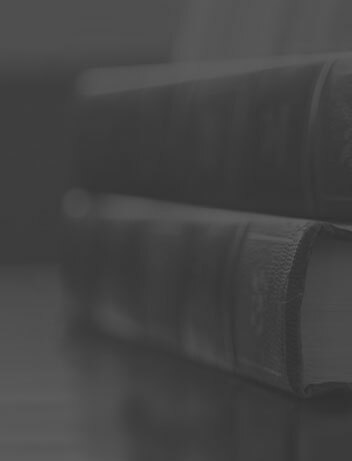 The Review Report recommends the introduction of a mechanism for the Minister for Defence to specify a list of ‘notifiable equipment’ that requires approval before being brought into the WPA. The list would be reviewed and updated annually to keep up with new technology that could potentially interfere with defence activities or breach the security of the area. The Review Report recommends that geological and economic analysis of the mineral, energy and groundwater resources potential of the Gawler Craton area, including the Red Zone, be undertaken in order to better inform future Government decisions about co-existence. It proposes that the work be led by the SA Government, starting with analysis of new data from South Australia’s aerial geophysical surveys of the Gawler Craton, followed by an evaluation and cost benefit analysis. The aim would be to determine what, if any, on-the-ground activity in the Red Zone would be required to further understand its mineral prospectivity, the likely costs and benefits, and whether government-conducted geoscience survey activity could be accommodated in the Red Zone without jeopardising Department of Defence activity.